The internal police report found the million-plus cameras in London rarely help catch criminals. In one month CCTV helped capture just eight out of 269 suspected robbers. David Davis MP, the former shadow home secretary, said: "It should provoke a long overdue rethink on where the crime prevention budget is being spent." He added: "CCTV leads to massive expense and minimum effectiveness. "It creates a huge intrusion on privacy, yet provides little or no improvement in security. "The Metropolitan Police has been extraordinarily slow to act to deal with the ineffectiveness of CCTV." Nationwide, the government has spent £500m on CCTV cameras. But Det Sup Michael Michael McNally, who commissioned the report, conceded more needed to be done to make the most of the investment. He said: "CCTV, we recognise, is a really important part of investigation and prevention of crime, so how we retrieve that from the individual CCTV pods is really quite important. "There are some concerns, and that's why we have a number of projects on-going at the moment." 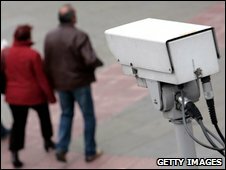 Among those projects is a pilot scheme by the Met to improve the way CCTV images are used. A spokesman for the Met said: "We estimate more than 70% of murder investigations have been solved with the help of CCTV retrievals and most serious crime investigations have a CCTV investigation strategy." Officers from 11 boroughs have formed a new unit which collects and labels footage centrally before distributing them across the force and media. It has led to more than 1,000 identifications out of 5,260 images processed so far. A Home Office spokeswoman said CCTVs "help communities feel safer".